This one's for mobile users and it's a pretty nice option. They post surveys frequently and have a low minimum cash out at $10. You can only redeem your rewards for Amazon gift cards at this point but it's a popular app and definitely worth checking out. Click here to download the app, available for Android and iPhone users. I love this site because there are so many ways to earn through them. You can view videos, read emails, take surveys and tons of other things. They have both web-based and mobile platforms so it's convenient to interact with on your phone or device. I've been a member for a long time and they've always paid. Lots of good ways to redeem, including gift cards to popular restaurants. Go here to sign up for Inbox Dollars. Speaking of current events, this is another panel offering mobile surveys that asks you questions about things that are going on in the news. They are well-known, reputable, and their research is sometimes quoted by major media outlets. You can earn money taking their web-based or mobile surveys. Go here to sign up at YouGov. This panel has been around for a long time, but they only recently jumped on the mobile surveys bandwagon. You only need $20 to cash out your earnings, and you can redeem your points for everything from Amazon gift cards to airline miles. Sometimes you can even get in on product tests with this panel. Go here to sign up at Valued Opinions. You may have heard of Global Test Market before. It's a very popular and very old survey panel open to anyone ages 14 and up. They're currently looking for mobile users to join up and do some surveys for cash and rewards! You can redeem your points for gift cards or cash once you hit the minimum points required. Go here to sign up at Global Test Market. Do you know of some more survey panel apps you can download to your smartphone? Please share them in the comments below! 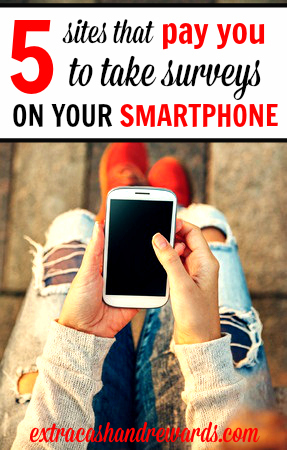 Thank you for sharing, I knew of a couple of these but always looking for new ways to keep up with surveys on the go!